Michelle Cooke From the Inside Out: Being a Teenager can be tough. It is a time in our lives when we are discovering who we are but often don't know how. From the to Self Awareness and Personal Development. From the Inside Out: Being a Teenager can be tough. It is a time in our lives when we are discovering who we are but often don't know how. From the to Self Awareness and Personal Development. This is a great Book for teenagers, young adults and parents with young adults. It combines real life issues with comedy, facts and some useful tools and techniques. This is a personal development book that will definitely be a great introduction to self awareness and self motivation. 2. From the Inside Out: Being a Teenager Can Be Tough. It Is a Time in Our Lives When We Are Discovering Who We Are But Often Don't Know How. 3. From the Inside Out: Being a Teenager Can Be Tough. It Is a Time in Our Lives When We Are Discovering Who We Are But Often Don't Know How. 5. From the Inside Out: Being a Teenager can be tough. It is a time in our lives when we are discovering who we are but often don't know how. From the . to Self Awareness and Personal Development. 6. 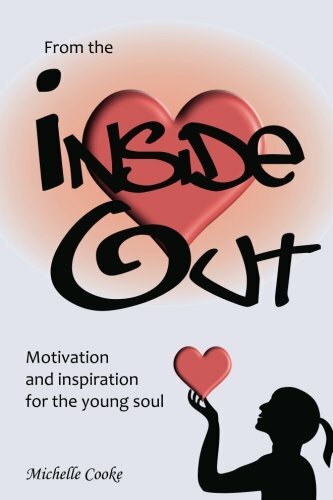 From the Inside Out: Being a Teenager Can Be Tough. It Is a Time in Our Lives When We Are Discovering Who We Are But Often Don't Know How. 7. From the Inside Out: Being a Teenager can be tough. It is a time in our lives when we are discovering who we are but often don't know how. From the ... to Self Awareness and Personal Development.